Dog Friendly Hikes & Walks, Off Leash Beaches and Cellar Doors inviting your dog with you for a wine tasting as well as countless dog friendly cafes and bars to chill out. 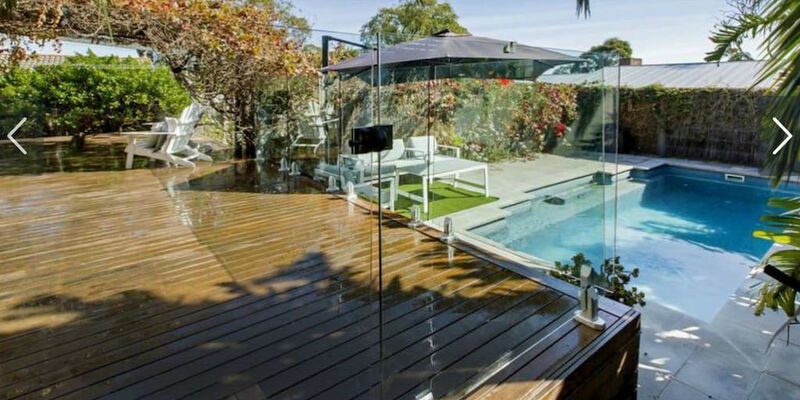 All this is possible in the Mornington Peninsula. 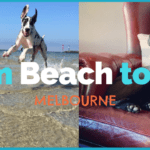 Less than 2 hours drive from Melbourne, Mornington Peninsula together with Yarra Valley, is one of the best dog friendly weekend getaway destinations from Melbourne. It’s time to go on holiday with your dog, because simply put, you both deserve it. 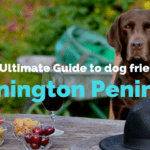 This is your Ultimate Guide to visit Mornington Peninsula with your dog! Air-conditioned 3 bedroom holiday home only a few minutes drive away from the dog off leash beaches in Blairgowrie & Rye! 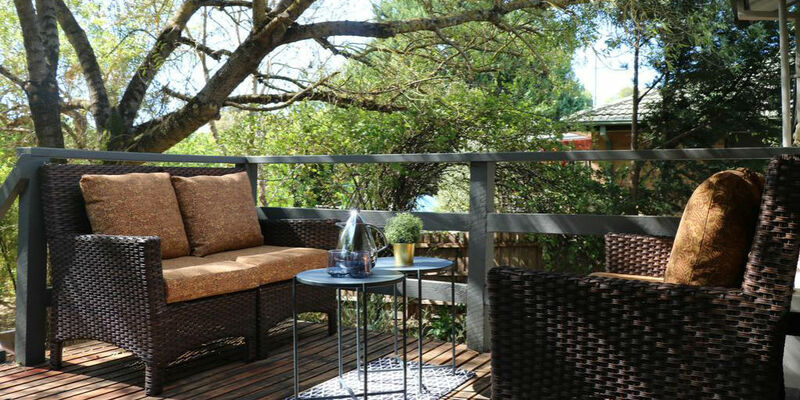 Enjoy a glass of pinot with your pooch on the fenced backyard and let the world go by. Dog friendly farm stay in the heart of the peninsula with plenty of room to roam, sniff and play! 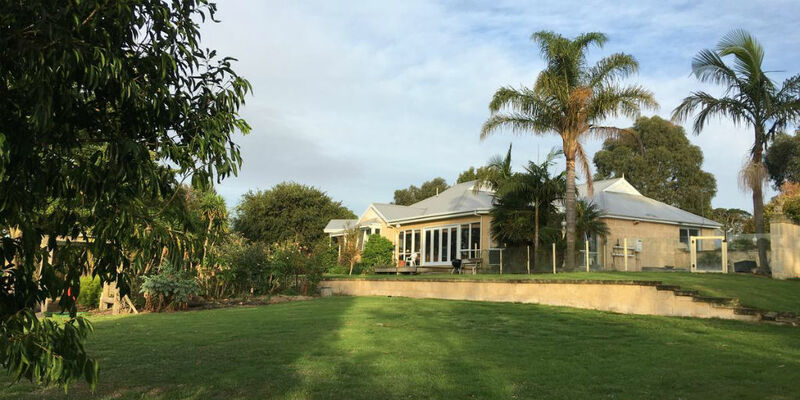 Farm has cattle, sheep and chooks and will be a truly magical experience for the entire family! Stay close to the dog friendly beaches and wineries and enjoy your sun drenched terrace and a private pool with your pooch. 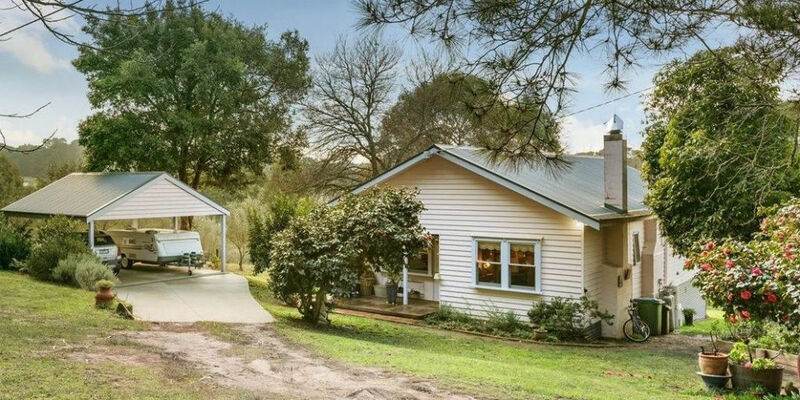 Peaceful and quiet 3 bedroom farm cottage hideaway surrounded by dog friendly wineries. Ideal location for a you and your pooch to stay off the fuzz & buzz, visit the wineries and just chill. 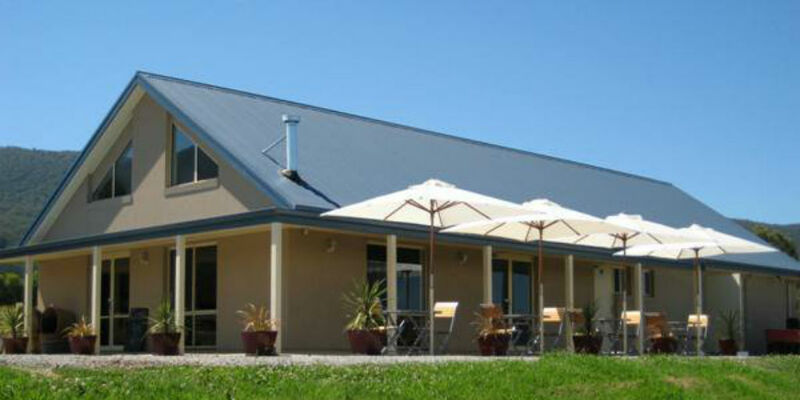 The Shoreham Beach House is located right on the water and only a few minutes away from the dog friendly wineries. 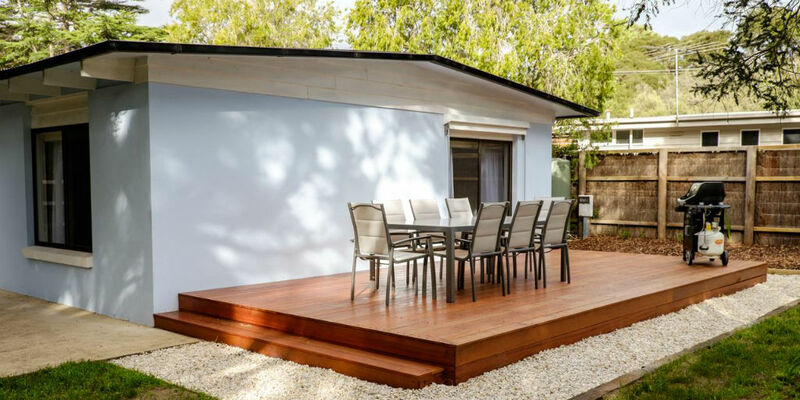 Rather large 120m2 property is stylishly decorated with wooden beach lifestyle items and is fully equipped with everything you need for a relaxing weekend away from the city. 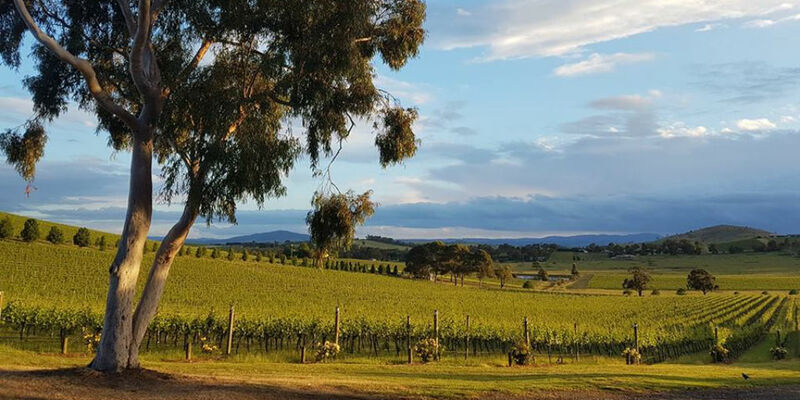 The Mornington Peninsula landscape with its rolling hills and tranquil vineyards is as stunning as the range of wines produced by its wineries. Mornington Peninsula is known for producing high quality, cool climate varieties such as Pinot Noir, Chardonnay and Pinto Gris. No vineyard is further than 7km from the ocean, which creates a unique climate for the vines as well as for the visitors in the region. We have listed the most dog friendly vineyards (in an alphabetical order) you should visit with your pooch! 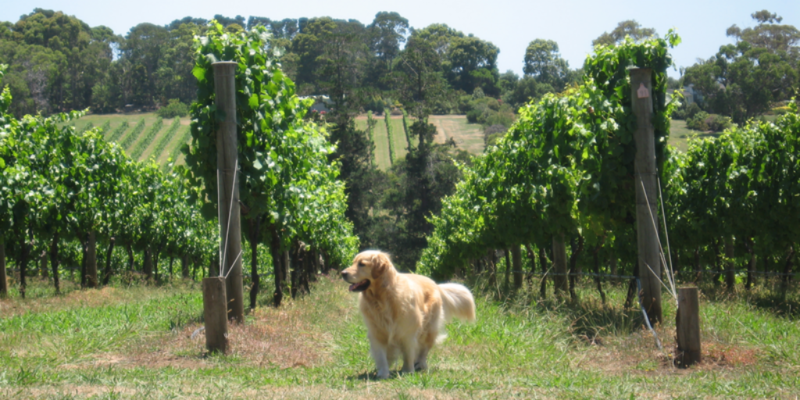 Family run award winning vineyard to enjoy with your pooch. Dogs are allowed to join you in the Cellar Door on leash (as apparently the local peacock is not too happy to be chased;-)). Great place to enjoy beautiful wines and maybe buy a bottle or two to take home for the evening meal. 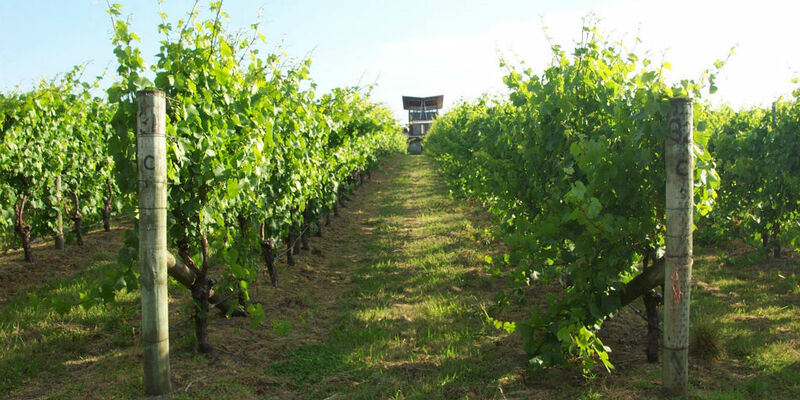 Paradigm Hill focuses on achieving balanced healthy vines producing carefully selected, exceptional & low yielding fruit. Their very rationale dog policy says ” we are dog friendly to friendly dogs”! 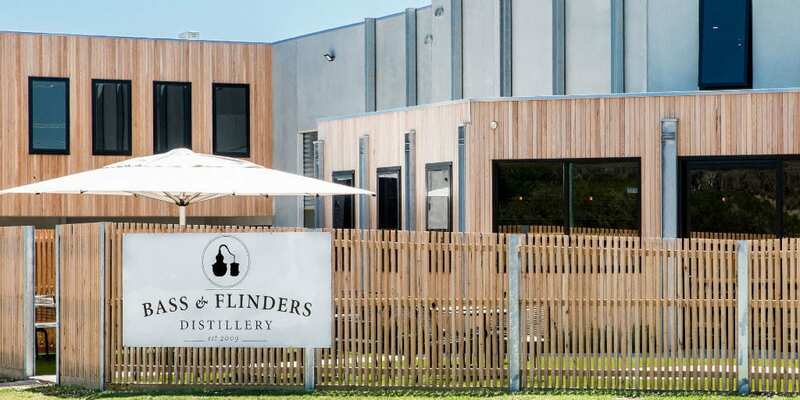 One of the most interesting boutique dog friendly wineries in the Mornington Peninsula. 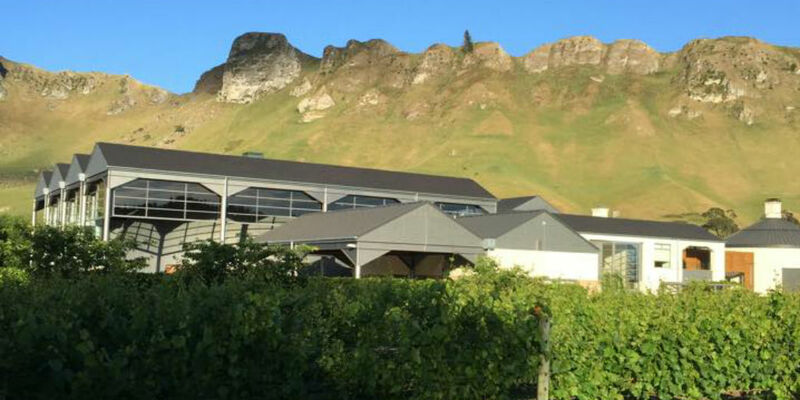 It’s located on a steep north-facing slope of a secluded valley in the Red Hill area known for its ancient red basalt soils. Tucks has a fresh take on winery visits. 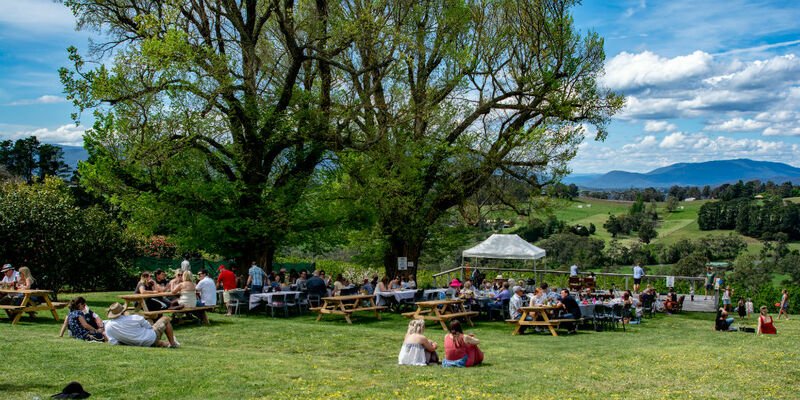 Rather than having your traditional wine tasting in the Cellar Door, why don’t you take advantage of the massive lawns and have a picnic in stead! There are thousands of bars & cafes in the peninsula to choose from. But we do feel your pain when it comes to taking a gamble on which places will allow your furry friend to join you. To make it less time consuming for you to search for these places, we have combined a list of dog friendly places to drink & eat (in an alphabetical order) for you. 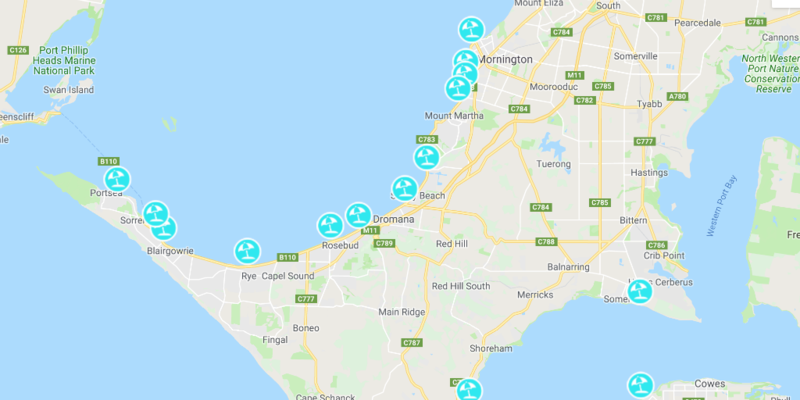 You can find the full list of dog friendly pubs/bars and cafes in Mornington Peninsula, Melbourne, Yarra Valley and beyond from Pupsy. Gin flights, cocktails and sun drenched garden to enjoy them. Bass & Flinders offers an interesting alternative to winery tours and brewery visits. And while you are in Dromana, visit the dog friendly Safety Beach only a few minutes away from the distillery. Visit Green Olive for a full Mornington farm experience. 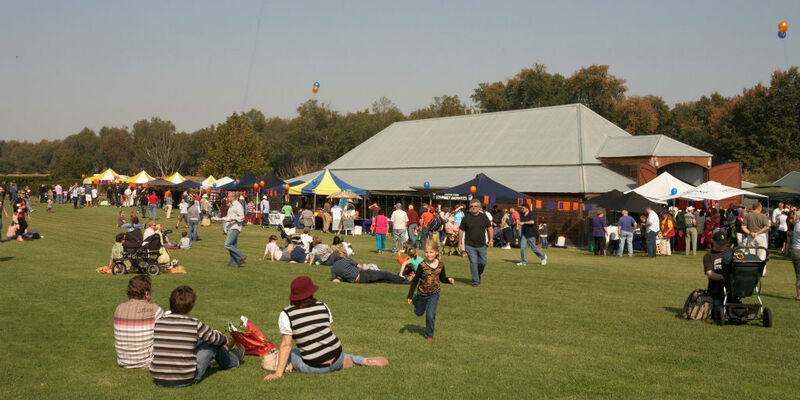 Meet the local sheep, pigs and chooks and taste the locally grown olives, grapes and veggies. Green Olive will not disappoint any family members (including the furrier ones). Mornington Peninsula’s one and only Cafe / Bakery serving DOGS ONLY! Humans can purchase great food and drinks from the Red Rattler Train cafe just opposite to Miss Drew’s. 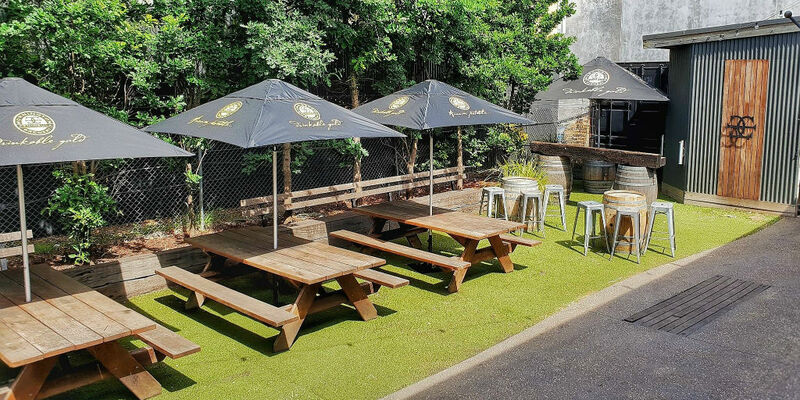 Casual craft beer brewery with a rustic dog friendly beer garden. Great place to sit and relax after spending a day at the beach, exploring dog friendly hikes or visiting wineries. There are too many stunning dog friendly beaches on the Peninsula to list them all here. In stead, you can find, visit and review all off leash beaches on our website. But Mornington Peninsula has so much more to offer than just the beaches. We have selected the most amazing dog friendly hikes off the coastline and we strongly recommend you to explore at least one of them. One of the most scenic dog friendly hikes in the entire peninsula. Follow the old rail trail between Red Hill South and Merricks. Turn back whenever you feel like it as the entire return will be approx. 12 kms long. 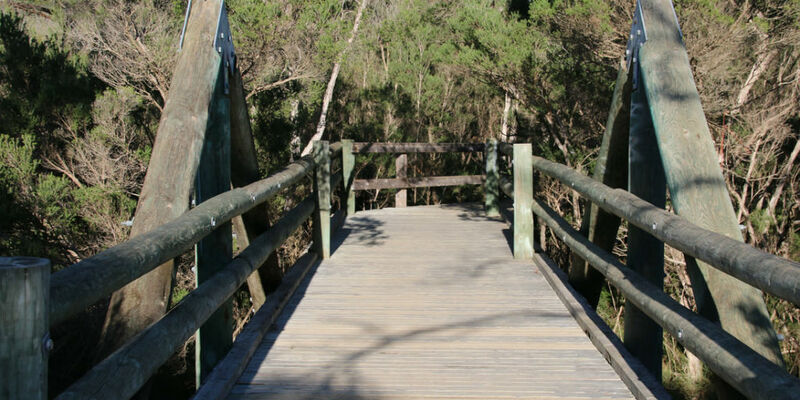 This wooden boardwalk runs through the bushland between Eplanade and Nepean Highway. Home to numerous flora and fauna this walk is a great way to start the day. Make use of the off leash areas and dog friendly Hawkers Beach! Beautiful off leash forest walk with plenty of places to sniff, creek to swim and other dogs to play with. 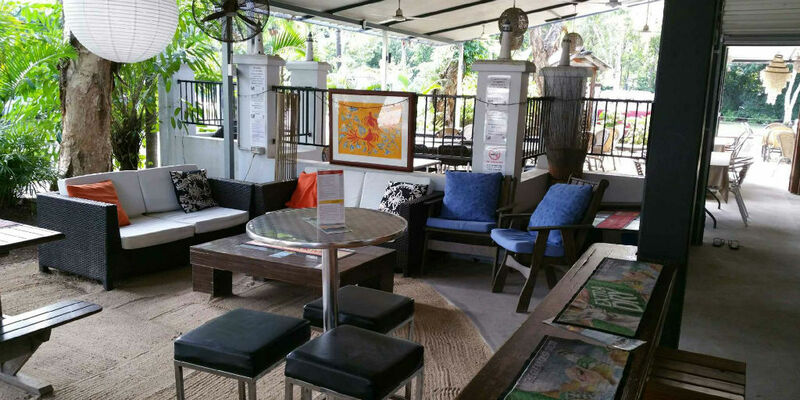 Enjoy the tall trees, sounds of kookaburras and the running creek before heading back to the village for a drink or a bite to eat. As we are writing this, all off leash dog parks are being created on Pupsy as well. 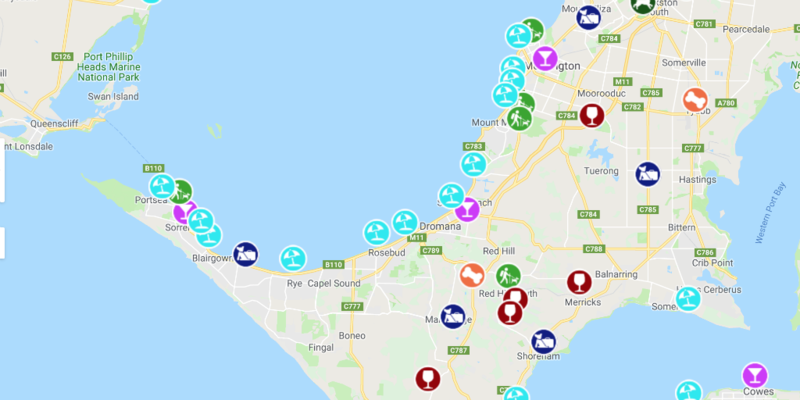 For the full list of off leash exercise areas, visit the Mornington Peninsula Council website. All the places in this article (and many more) are also available on Pupsy website. Simply go to Dog Friendly Places & Services and search for any dog friendly places near you or in your holiday destination. We would love to hear from your experience! Did your dog find his/her new favourite beach or hike? Was the place you visited not as dog friendly as you expected? Leave a review and help other dog owners to find the best places to visit with their dogs. Your review will also be super valuable for the dog friendly venues to improve their dog friendliness! 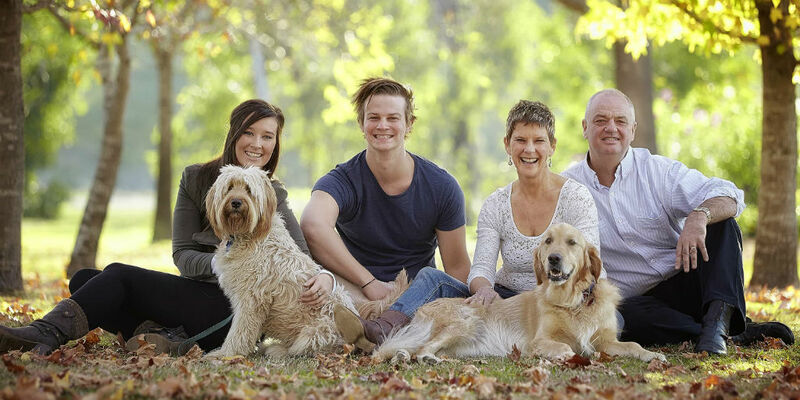 Thank You and enjoy Mornington Peninsula with your dog ! 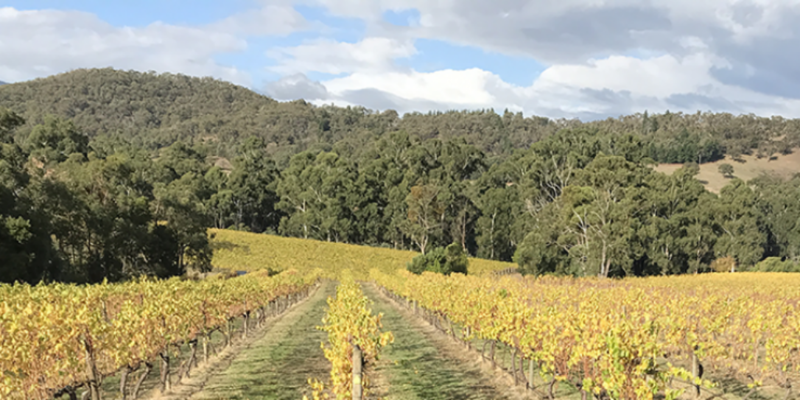 The Yarra Valley must be one of the best wine regions in the world, and it’s only a one hour drive away from a major cosmopolitan city. 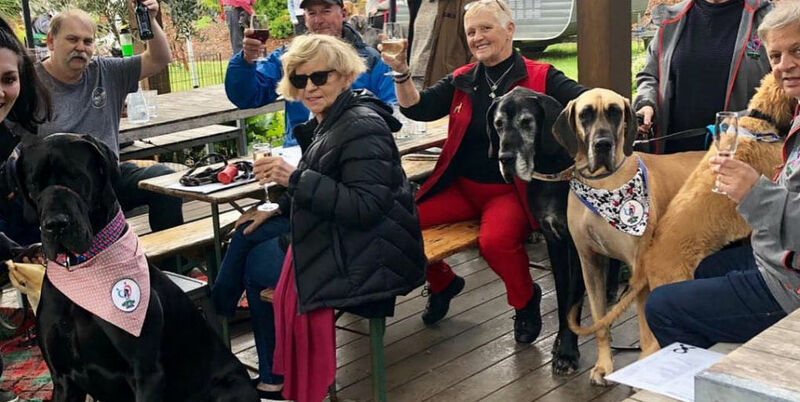 It’s known for the warm welcome visitors will receive across the variety of wineries and as we found out, this welcome is extended to our furry friends as well. Dog-friendly wineries in the Yarra Valley are only a start. There are great dog-friendly hikes and dog-friendly pubs and cafés as well in this beautiful wine region. Next time you are heading for wine tasting or a mini break in the Yarra Valley, make sure you take your dog with you. 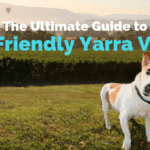 This is your ultimate guide to DOG FRIENDLY YARRA VALLEY! One of the main reasons for heading to the Yarra Valley is drinking and purchasing wine. Fair enough, and there are many wineries to choose from. We don’t like travelling without our dog, as he surely wants (and deserves) to be part of the experience. 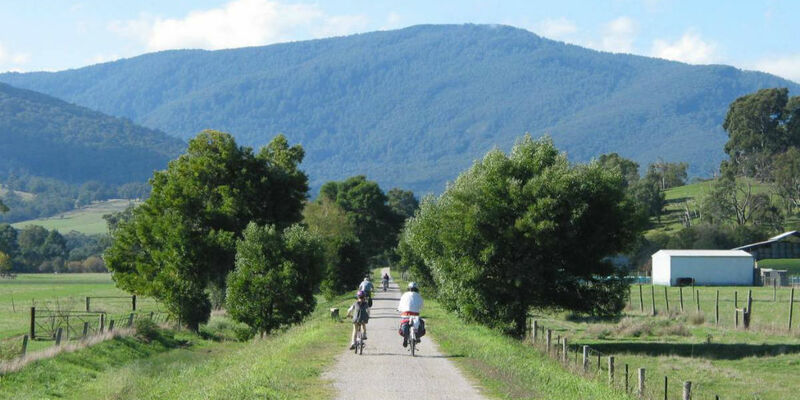 Good news is, visiting the Yarra Valley is not just possible with your dog but even recommended in many places. 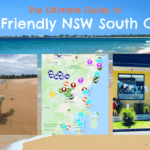 This guide will unleash the best dog friendly wineries, dog friendly pubs & cafes, dog friendly walks & hikes and even a place to go for a swim with your dog. But let’s start with the most essential. 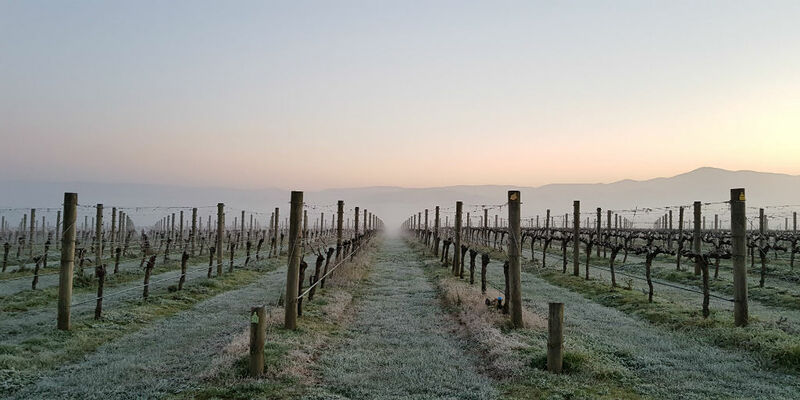 There are over 150 wineries in the Yarra Valley, which is best known for the cool climate Chardonnay, Pinot Noir and Sparkling Wines. 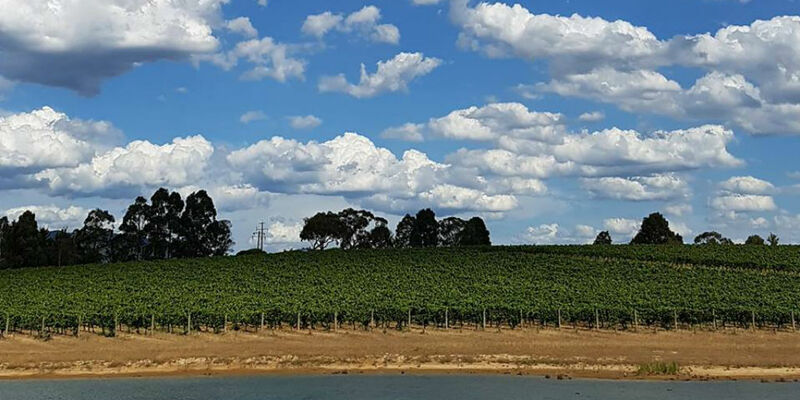 It’s the oldest wine region in Victoria with the first wines planted at Yering Station in 1838. You can visit most of the wineries without any bookings but we do recommend to check with them in advance as some of them do get very busy during the weekends. Dog friendly in and out. Pooches are welcome inside the Cellar Door and of course in all of the outdoor areas. Their reverse BYO policy (as in Bring Your Own food) is very popular and super chilled way to enjoy lunch at the Cellar Door. Potentially the sweetest place in Yarra Valley to visit. Blueberry wines, ciders, Moscato and plenty more. All of which can be enjoyed with your pup beside you. Experience the hospitality of a family founded and run dog-friendly boutique winery. You’ll discover outstanding architecture reminiscent of Southern Europe, exceptional estate produced wines and delicious light food. 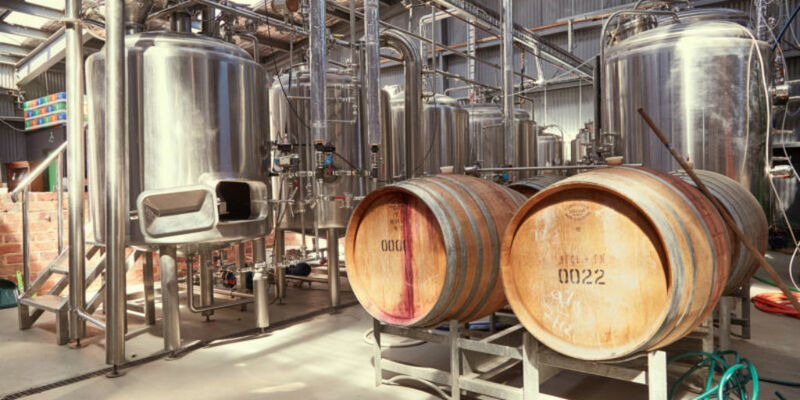 Being one of Melbourne’s Closest Wineries, it’s just 35 minutes from the CBD and 35 minutes from Melbourne Airport. There is a great 24h dog park at Fergusons Paddock in less than 10 mins drive away from the winery! Philosophy at De Bortoli is that great wine begins in the vineyard and should reflect the region where the grapes that made it are grown. Achieving this must involve both vineyard and winery. In the vineyard, this means thoughtful site selection, vine maturity and a move towards sustainable, biological farming practices that deliver exceptional fruit quality and real environmental benefits. It also involves an increasing embrace of single vineyard wines. The Maddens Rise range of wines is focused on a pure expression of the Yarra Valley region. Decisions are made based on the fruit itself, and the climatic variations of each and every season. The consistent quality of wines comes from carefully managing this balancing act. Dogs are more than welcome to join you for a wine tasting, even inside the Cellar Door (subject to other guests being alright with it). Immerse is a dog-friendly winery in the heart of the Yarra Valley. Their team is friendly and knowledgeable, and loves nothing more than taking you through the wines, sharing a few yarns and giving your dog plenty of cuddles. Dogs are allowed in the stunning outdoor area, where you can relax with a glass of your favourite drop while local wine dogs Luca & Zya entertain your pup. Greenstone Vineyards is known for their dog friendliness. Even dog touring companies regularly pay them a visit. Dogs are allowed on the covered deck and on the large open lawns. 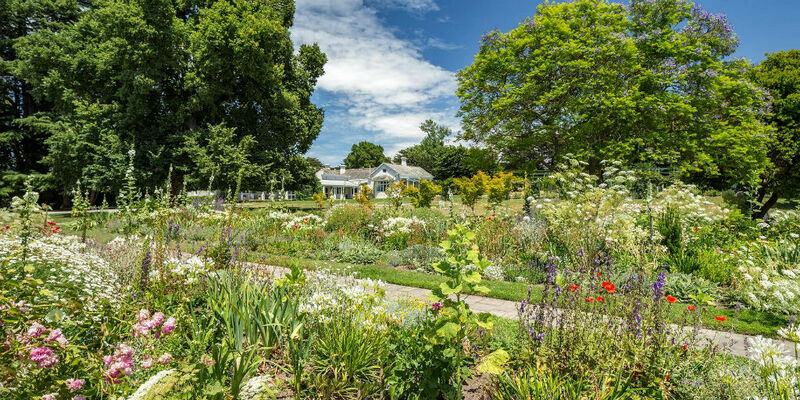 Enjoy a glass of wine and platter / light lunch options from the cellar door menu or maybe a game of croquet in the infamous hedge while taking in the beauty of the flora and fauna surrounding the winery. Dogs are welcome to join you in the outside seating area. Although Seville Hill doesn’t allow dogs inside the Cellar Door, you can bring your pup with you to enjoy a glass of wine on the lawns. Very enjoyable vibes but check the weather forecast as there is not much shelter from rain or sun. 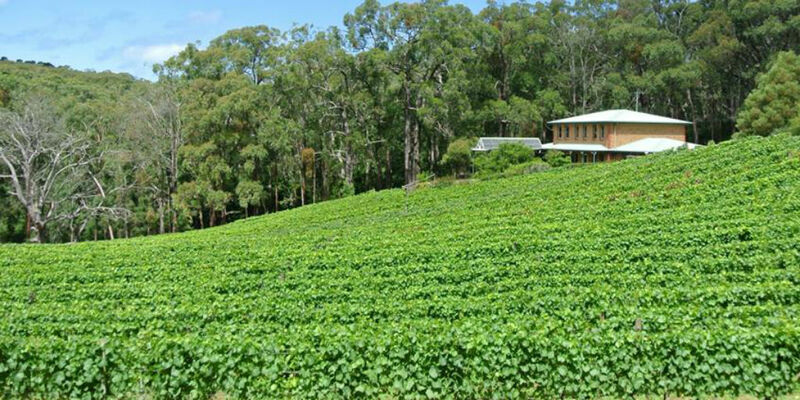 Steels Gate Vineyard, situated at 230m above sea level, was planted in the late 1970s on an undulating slope of friable grey loam soils. Completely naturally irrigated and hand nurtured, surrounded by National Park, the vines are cared for by hand and the grapes carefully hand picked at the perfect harvest time. For a unique wine-tasting experience, sit next to the vines on a picnic blanket with your dog and simply chillax. 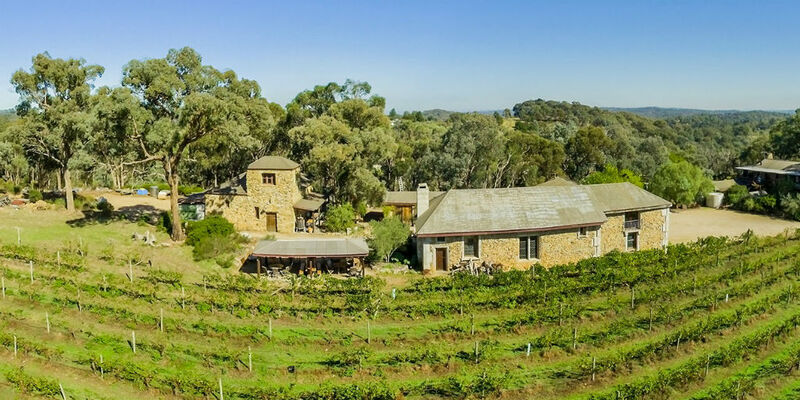 Explore the home-grown wines at the Warramunda Estate cellar door with a plate of small bites, cheese or charcuterie. Dogs are allowed at the serviced and covered outdoor area. Winery not to be missed with your dog! Seville Estate won the 2019 James Halliday Winery of the Year award and they welcome your pooch to enjoy every inch of it. Dogs are welcome inside the Cellar Door to make sure nobody misses out on tasting their award winning wines. 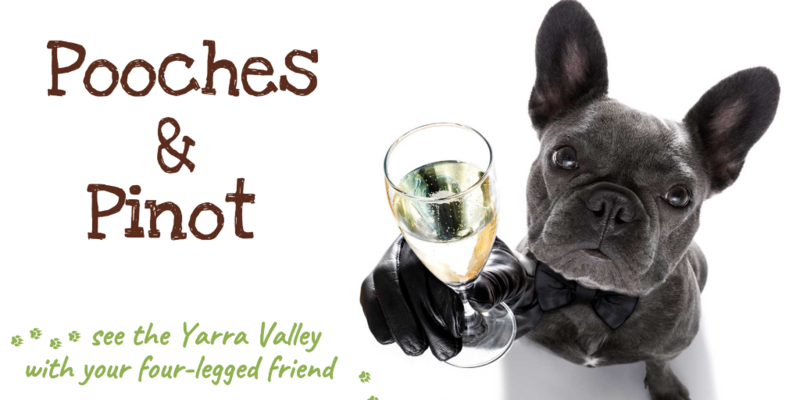 You can find all dog friendly wineries in the Yarra Valley (and beyond) from Pupsy Dog Friendly Wineries directory. Finding a place to stay with your dog is always a bit of mission as still too often the answer is a straight no when you are travelling with your pooch. We have listed some of the most amazing dog-friendly places in the Yarra Valley for you to choose from. They are all well located close to the main towns, wineries and other attractions in the valley. 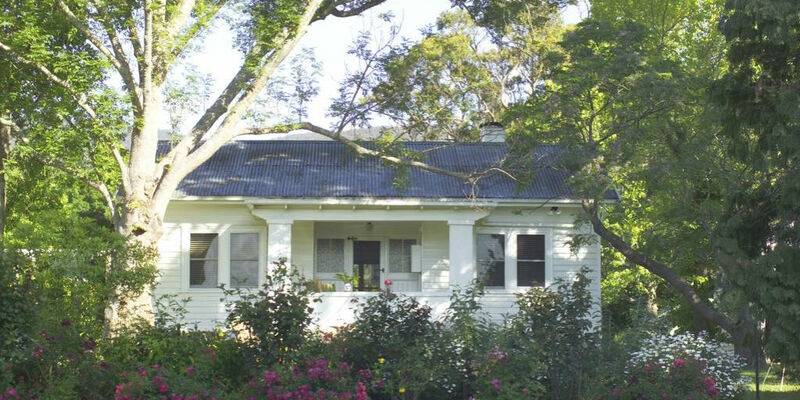 This is a beautiful hidden cottage in Olinda, close to the dog-friendly hikes and cafés. The fireplace will warm your pooch in the winter and 1.5 acres of historical garden settings will give you and your dog plenty of room to roam. Ultimate relaxation with your dog and your partner (optional) is what Mount Evelyn Retreat is all about. With its central location, dog-friendly wineries, cafés and hikes in the Dandenong Ranges are all only a few minutes away. 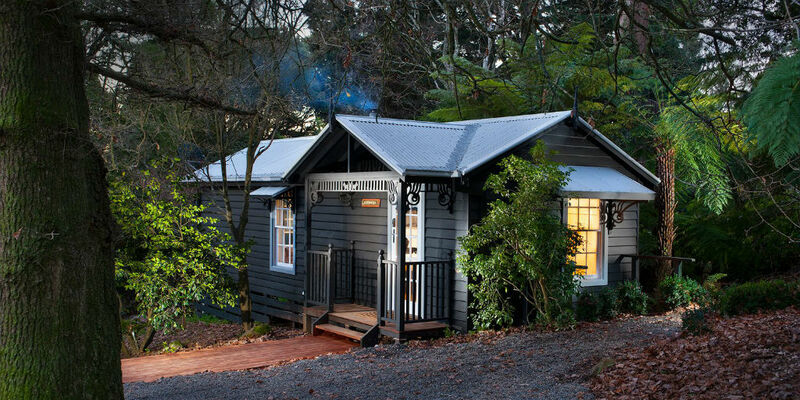 This cosy little dog-friendly cottage is only a few pawsteps away from Healesville shops, bars and the Four Pillars Distillery. There are also plenty of great walks and hikes nearby that you can do with your dog. 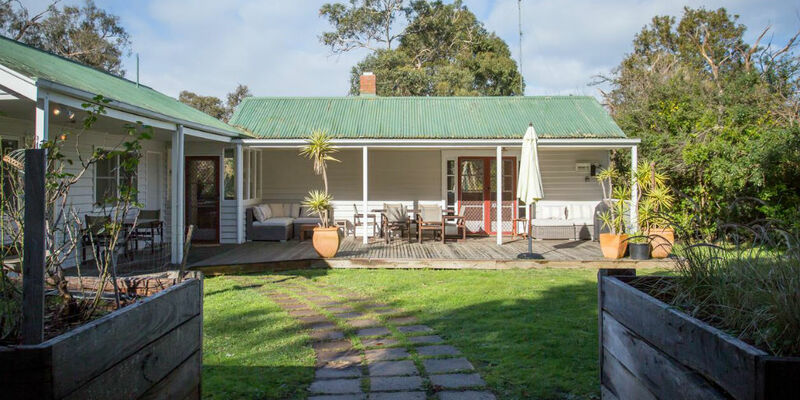 This dog-friendly farm-house is surrounded by the best flora and fauna that the Yarra Valley has to offer. This tranquil setting is guaranteed to make you forget your daily routines and enhance your visit to the valley with your dog. 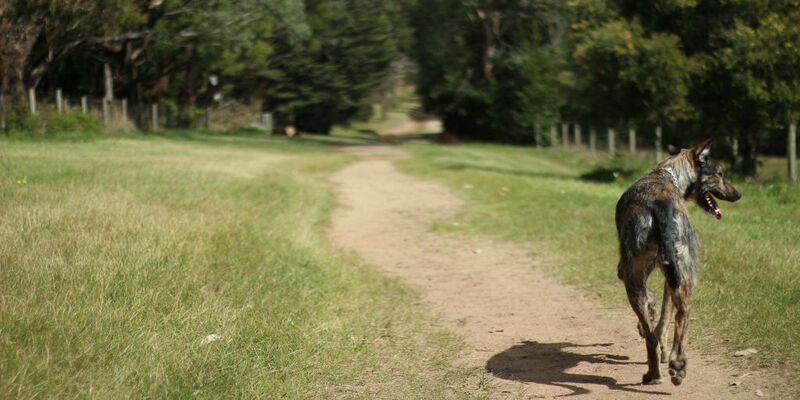 Find more dog friendly accommodations in the Yarra Valley and beyond on Pupsy! 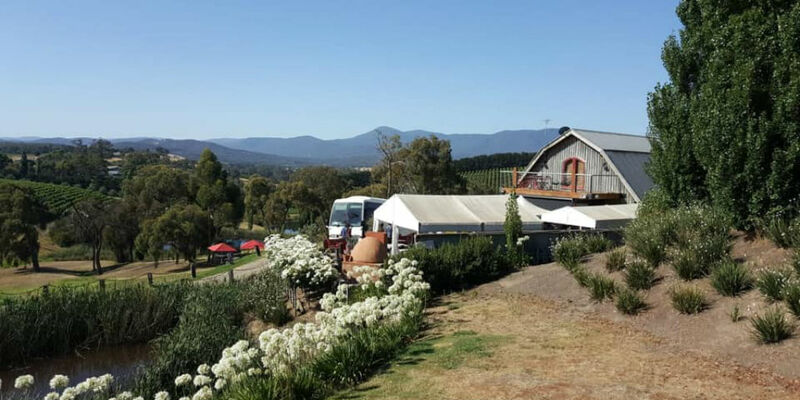 Yarra Valley is known for its culinary experience as well as great bar and café scene. 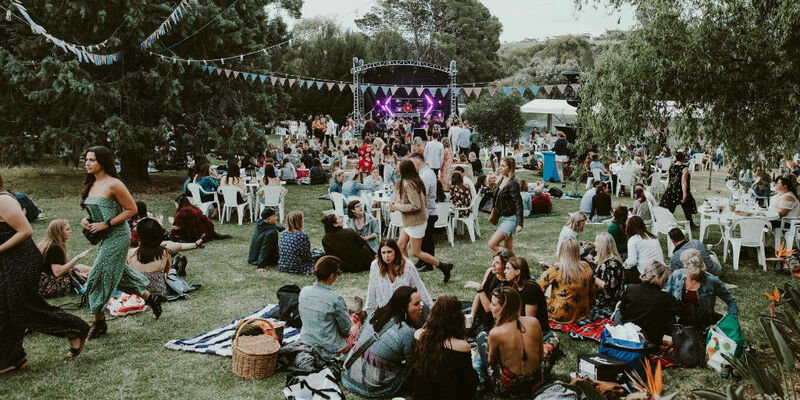 The main towns in the region are Coldstream, Lilydale, Yarra Glen, Dixons Creek, Seville and Healesville, out of which Healesville is the clear centre for the active bar scene. 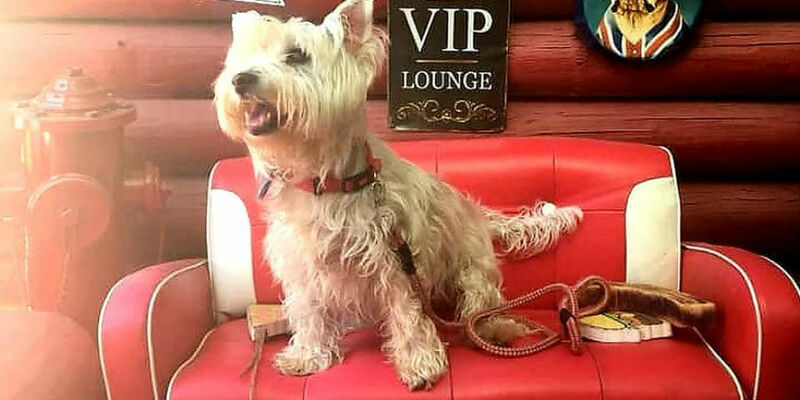 A dog-friendly Winery Cellar Door comes to town! 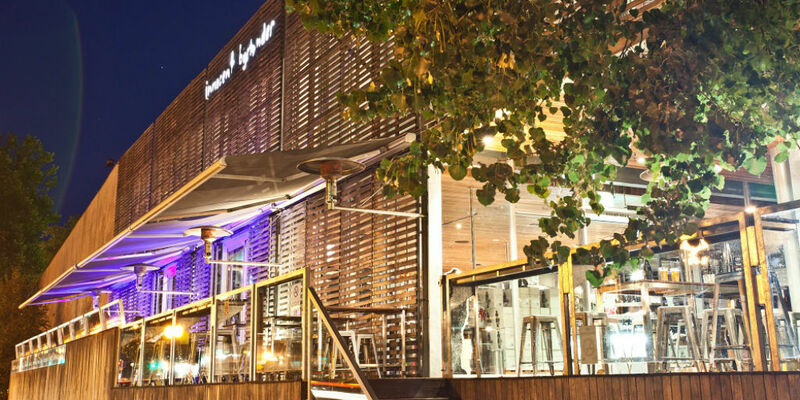 Visit dog-friendly Innocent Bystander for delicious wine, local produce, artisan pizza and tasty paella, or enjoy a non-wine option such as the real cider, local beers and spirits or great coffee. Dogs are welcome in the heated and covered outdoor area. 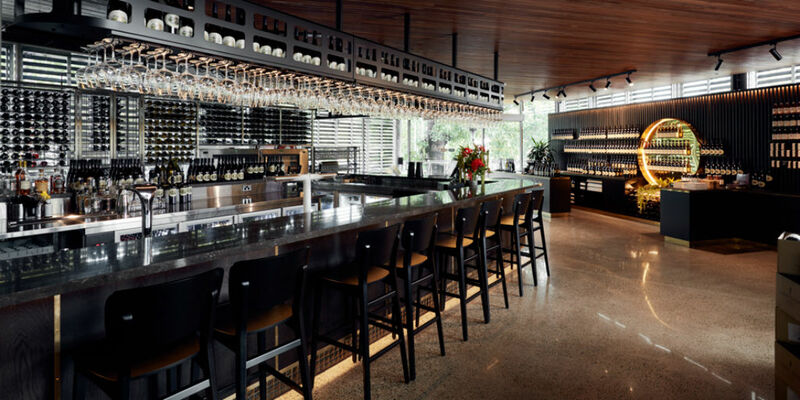 Giant Steps is another beautifully designed Cellar Door turnd bar/restaurant in Healesville. 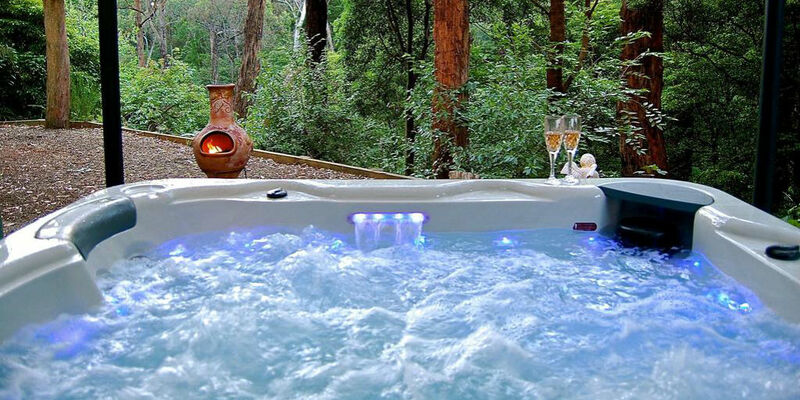 It is located right next door to Innocent Bystander, making the block one of the must-visit spots in Healesville. As with its neighbour, dogs are allowed in the partly covered outdoor area. Two young families passionate about creating high quality, brewer driven beers that could be shared with everyone came together to create the Watts River brand. Watts River is comprised of brewers Aaron and Ben with over 11 years industry brewing experience and their wives Emily and Hanna. Dogs are an essential part of beer culture and therefore they are allowed everywhere, as long as they are kept under control. 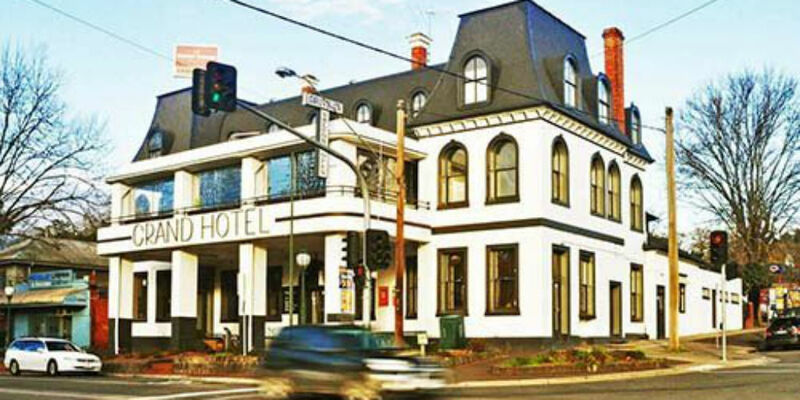 “The Grand Old Lady” with a modern twist focuses on showcasing local produce and wines. Whether you are looking for an afternoon catch up for drinks with friends, a family meal or a social gathering to wine and dine, The Grand Hotel is the perfect dog-friendly pub to visit with your dog. Dogs are allowed in the beer garden and the front verandah. Yarra Valley is full of cafés and most of them “allow” your dog to sit under the table with you but there are others that actually LOVE your dog as much as you do. 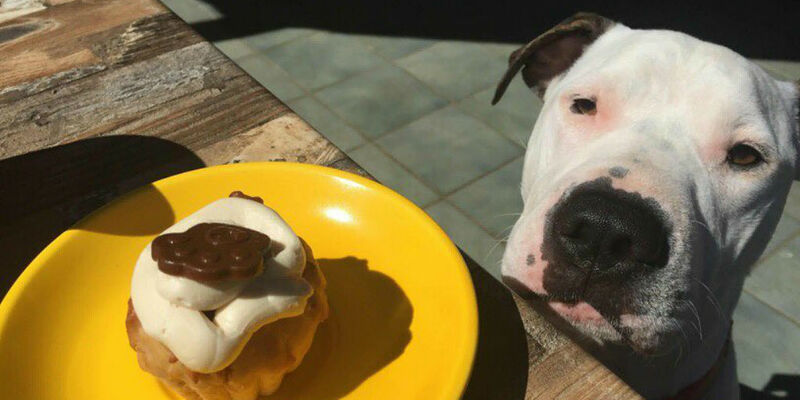 We have listed the most welcoming dog-friendly cafés in the region you should visit for that morning brew, brekkie or lunch! The name says it all! Wagtime Café is super dog friendly, and has many four-legged regulars. Dogs are welcome in the outdoor seating area, or should we say laying area, as they even have doggie beds to maximise the comfort of your pup. Think freshly brewed coffee, on-premise baked sourdough and a pleasant undercover outdoor seating area inviting you and your dog to start the day in the most relaxing way you possibly can. This is Habituel and we highly recommend you check it out especially if you are staying in the area. 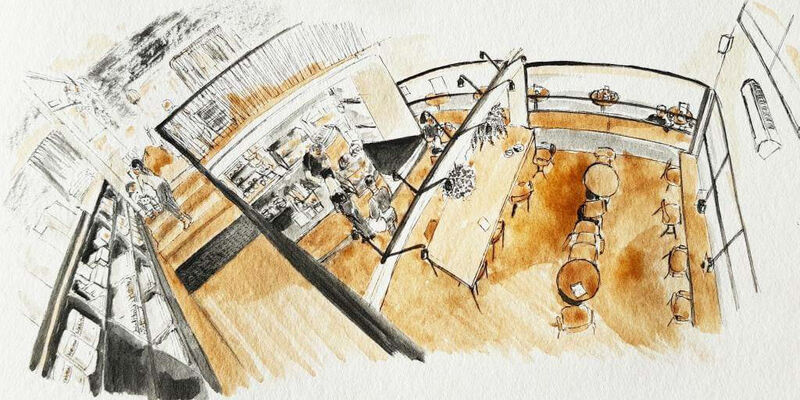 By the way, the artwork above is made by their very own espresso. 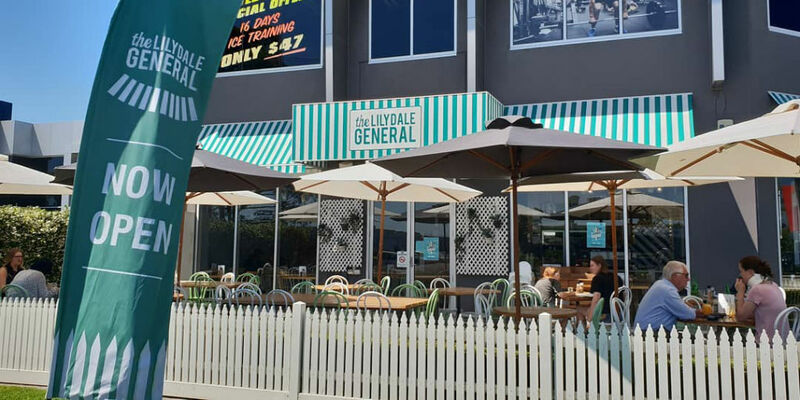 Whether you are after something hearty or healthy The Lilydale General has it on the menu, from fresh berries and fruits with granola to the mouth watering General’s Burger. Dogs are welcome in an outdoor seating area and we can almost guarantee they will have some four-legged company! Visit the nearby Lilydale Lake off leash park / beach for a play and complete the morning with a coffee at The Lilydale General. If you are spending more than a day in the valley (which we highly recommend), there are plenty of other things to discover than just wine. 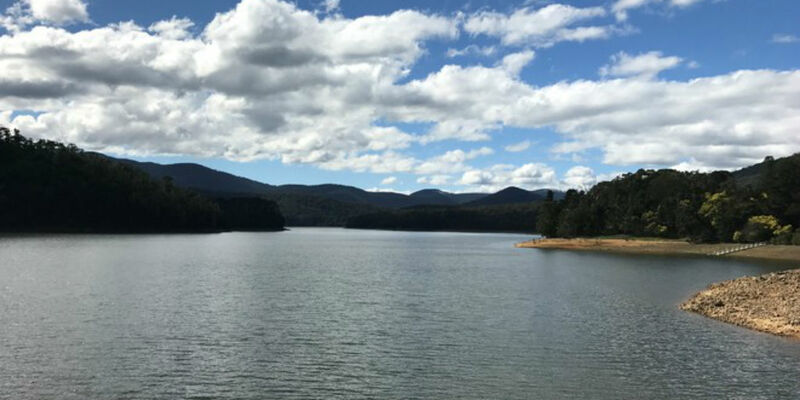 Take your dog for a swim, meet other dog owners in the off leash parks or follow the historic Warburton Railway line that used to service the agriculture industry 100 years ago. 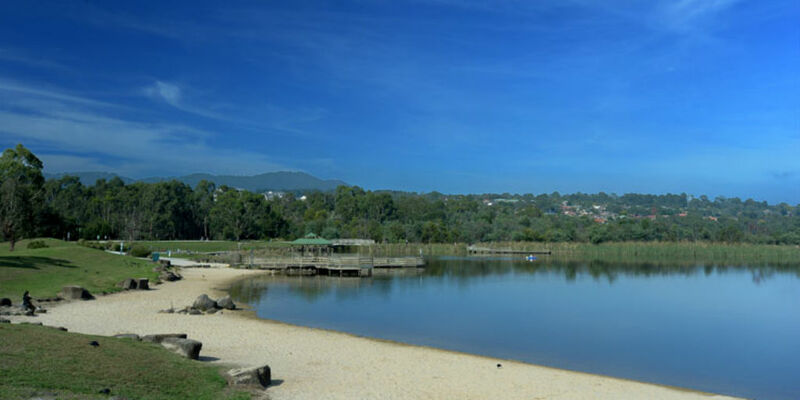 Lilydale Lake has several 24h off leash areas but the one we recommend is the sandy beach right next to the lake where your dog can have a splash in the water. There is no better way for your pup to start the day than by running freely on the soft sand and having a little swim. Go to the nearby The Lilydale General for an after play coffee / breakfast. Held every third Sunday of the month between 9am – 2pm, Yarra Valley Farmers Market offers something little different to explore with your dog. There are several off leash areas in the region. 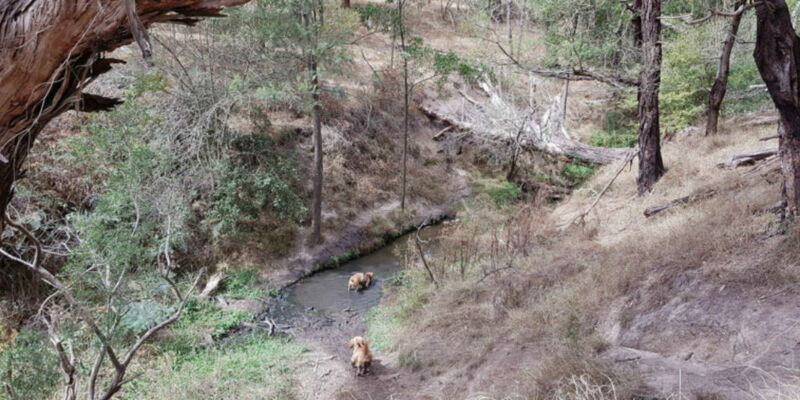 CLICK HERE to find all official off leash parks within the Yarra Ranges. That’s it; you’re all set for your adventure to the Yarra Valley with your dog! For other dog-friendly guides, visit Pupsy Destination Guides.